With the closing of international borders in the region in the early 1960s, the seasonal migration of yak herds between highland summer pastures and warmer lowland wintering areas is restricted within country boundaries. With this, breeding is limited within smaller yak populations, reducing germplasm exchange and impacting overall yak health and breed development. Kipchu, a yak herder from Haa, Bhutan, said that traditional products such as hard cheese from yak milk have limited markets. And without technological innovation in the yak product value chain, they have limited returns on other products like yak wool. Breed deterioration and shortage of winter fodder are affecting the overall health of yak, and with limited market viability of yak products, yak herders are now looking elsewhere to sustain their livelihoods. Led by a transboundary initiative at the International Centre for Integrated Mountain Development (ICIMOD), yak herders, government agencies, and development partners in the Kangchenjunga landscape of Bhutan, India, and Nepal are working together to address these challenges. A meeting coinciding with Bhutan’s Haa Summer Festival (14–15 July) created a platform for people from different countries to identify major challenges to yak herding, exchange knowledge and technology, and discuss possible solutions. Bhutan’s Prime Minisiter – the chief guest at the festival – and other dignitaries discussed opportunities and challenges of yak rearing in the Kangchenjunga landscape with yak herders. The policy environment in the landscape is supportive of improvements in the yak sector. In Bhutan, the government has prioritized highland development in its latest five year plan. And in Nepal, public private partnerships have driven innovation in the yak value chain for years, which led to the production of Swiss style cheese from yak milk as well as diversified products such a dog chew toys from yak cheese. But it is clear that regional partnerships and collaboration across borders must be strengthened for yak herders in the HKH to be able to sustain in this profession. Karma Bhutia, Joint Director from the Sikkim Livestock Department, recommended strengthening regional cooperation and partnerships to address many of the common challenges that herders are facing in the landscape. Other more grassroots solutions also emerged to help strengthen activities on yak production and management. 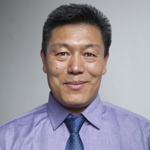 Towchu Rabgay, Department of Livestock, Bhutan, suggested a network of yak breeding stations of Bhutan, India, and Nepal to facilitate the exchange of yak germplasm and reproductive biotechnologies. Other ideas included the development of the Kangchenjunga Landscape Yak Herders Association, a regional grassroots network that could provide a regional voice and leadership for organizing annual yak festivals, coordinating the systematic exchange of high quality breeding bulls, and facilitating the exchange of knowledge and experience. The value of yak festivals was also highlighted during the event. Chandra Dangol, Joint Secretary of the Ministry of Forest and Environment, Nepal noted the importance of these festivals in linking herders‘ rich traditions and culture with the growing ecotourism sector. The Haa Summer Festival is an annual event organized by the local government of Haa with support from the Tourism Council of Bhutan and other stakeholders to celebrate traditional sports, unique Bhutanese cuisine, and the rich traditions of Bhutan’s nomadic herders. More than 500 people attended the festival in 2018. The yak herders’ meeting was organized by the Kangchenjunga Landscape Conservation and Development Initiative, which is supported by the governments of Austria and Germany.